Siren’s Crush, a local seven-piece Top 40 dance band, will perform at Civita’s fourth annual “Sundown Sunday” concert series. Free. 5–6:30 p.m. at the new Civita Park Amphitheater, located on Civita Boulevard at Russell Parkway, Mission Valley. Visit bit.ly/2eTMawZ. Wednesday, Sept. 20: Night Ranger, 8 p.m. The Ira B. Liss Big Band Jazz Machine will perform in the outdoor Terrace Garden at The Handlery Hotel. Tickets are $15; online only. Parking $5. All ages. 5 p.m. at 950 Hotel Circle North. Visit bit.ly/2eUen6J. 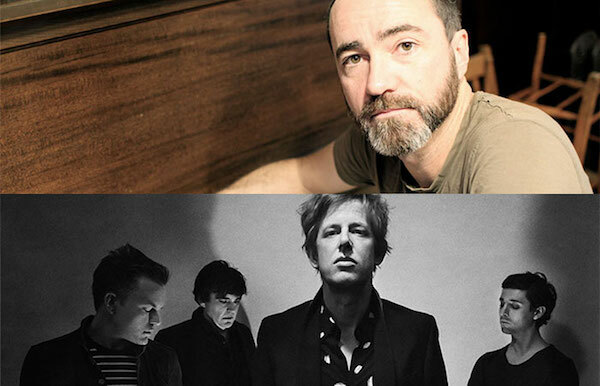 American indie-rock band The Shins will perform with Spoon and Day Wave. Tickets start at $39. 6:30 p.m. at Cal Coast Credit Union Open Air Theatre, San Diego State University, 5500 Campanile Drive. Visit bit.ly/2eSTyJf. Todo Mundo will perform at this year’s Allied Gardens “First Fridays” summer concert series. Free food from Ideal Plumbing Heating Air Electrical and Rita’s of Del Cerro. 6–8 p.m. at Allied Gardens Community Park, 5155 Greenbrier Ave. Visit bit.ly/2ro4pmZ. Mission Valley Library presents “Garden in My Mind: The Art of Young Geun Lee” which features mixed media work that references traditional Korean folk art. Exhibit is open the same hours as the library. 2123 Fenton Parkway. Visit bit.ly/2vSLG0T. 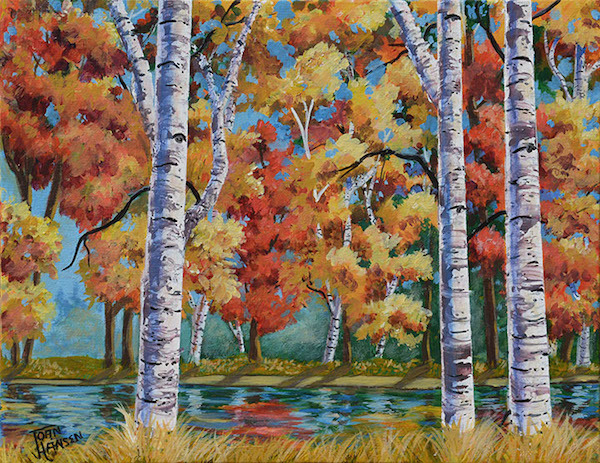 Mission Trails Regional Park Foundation will host two upcoming art exhibits. “Five Creative Perspectives” will run Friday, Sept. 15 through Friday, Oct. 6 and “Fields of Color” will run Saturday, Oct. 7 through Friday, Nov. 3. Free admission. The exhibits are open 9 a.m.–5 p.m. at MTRP Visitor and Interpretive Center, 1 Father Junipero Serra Trail. Contact Vicky DeLong at 619-286-1361. Come have a laugh and celebrate sobriety at The Salvation Army’s Kroc Center. The evening stars Mark Christopher Lawrence, former co-star of NBC’s TV show “Chuck.” Dustin Nickerson and James Schrader will also be featured. Free. 6:30–8 p.m. at 6611 University Ave. Visit bit.ly/2eU2kGT or contact Priscilla Orosco at 619-269-1544. Children will make their own “cars” from cardboard boxes and sit in their new vehicles to watch a screening of the animated movie “Small Fry.” Registration required. 10:30 a.m.­–1 p.m. at Mission Valley Library, 2123 Fenton Parkway. Visit bit.ly/2eU3qCv. Love books and movies? Join Fletcher Hills Library for the Page to Screen Club. After reading the selected book, attend the library movie screening and participate in a group discussion. September’s selections: “The Truth of Fact, the Truth of Feeling” by Ted Chiang, paired with the movie “The Entire History of You.” 6:30-7:45 p.m. at 576 Garfield Ave. Visit bit.ly/2vTbTwg. The College Avenue Center, 6299 Capri Drive, Del Cerro, hosts occasional movie screenings. Free for supporting members; $2 for all others. Visit bit.ly/2pPTBZx. Monday, Oct. 2: “Going in Style” at 1 p.m.
Monday, Oct. 16: A film with Ralph DeLauro at 1 p.m.